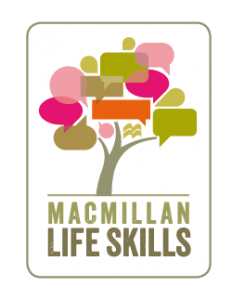 One of our major themes at Macmillan in 2014 is “Life Skills”, an umbrella term for the professional, academic, and personal skills we all need in order to do well in life. Effective communication is obviously a big part of this. But choosing the language to get your message across involves more than simply cobbling together a collection of words with roughly the right meanings. Context is everything. Who exactly are you speaking to (or writing for)? What is your relationship with them? Is the setting familiar and informal, or perhaps rather formal? The answers to these questions, and others like them, determine the vocabulary choices which are most appropriate to the situation. This brings us back to the topic of pragmatics, which – as Stan pointed out in an earlier post on the subject – deals with “social conventions and cultural norms – such as those of politeness, formality, and familiarity”. Traditionally, dictionaries deal with semantics (what words mean), and dictionaries that support language learning (like the Macmillan Dictionary) also explain how words combine (syntactically and collocationally) to make sentences. But on the whole, dictionaries don’t have much to say about pragmatics. In fact, there are many aspects of pragmatics that will always be beyond the scope of even the most ambitious dictionary. One of the leading figures in this field, Geoffrey Leech, has a well-known example of someone saying “It’s cold in here”, when the intended message is “Please close the window”: there is no way a dictionary can account for indirect speech acts of this kind. But our usual approach is to record any linguistic behaviour which corpus evidence shows to be frequent, and if we follow this principle we will end up describing quite a lot of language which comes under the heading of pragmatics. The first part of the definition is a straightforward explanation, but the second sentence tells us about the speaker’s attitude to champagne socialists. There are hundred of similar examples, at words such as air kissing, drama queen,and bourgeois, or at phrases like lucky you and ray of sunshine, both of which are often used ironically. The dictionary also includes a few dozen boxes labelled “Expressing Yourself”, which provide a range of words and phrases for effectively communicating your feelings when you are, for example, giving advice, expressing disagreement, or (a very useful skill) criticizing someone without being impolite. This is all useful information, and we also discuss various aspects of pragmatics in the blog. But it’s fair to say that pragmatics is an area where dictionaries could do more, and this is one of the things we’ll be doing in 2014. Such a nice contribution! I am a student of the final year of a master programme. 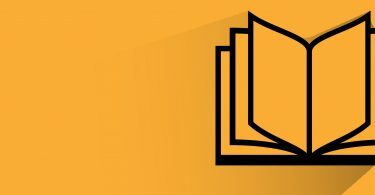 In our subject Pragmatics, we have this year, we are given a task to think of a lesson plan how pragmatics could be used in English lessons with lower-secondary students. Thank you for your source of inspiration. It is laudable to be Pragmatic — using all the correct words to express your meaning, but equally important to speak clearly, using precise articulation, so that your listener can hear and understand exactly what you are saying! I find most young people do not articulate well nor do actors and broadcasters these days. They also speak too quickly to be understood. I believe lessons in “How to speak clearly” should be taught in schools – or are they? A sincere thank you to Macmillan for all of your support including this series. I look forward to using some of your ideas in a series of lessons I’m developing with public transportation workers. Should be helpful. Very nice article! Specially for non-native speakers like me, since what in a culture is correct or acceptable, might be wrong or even offensive in another. I am eager to read the follow-up article.